Officials said that future updates will be disseminated on the progress of the renovations. 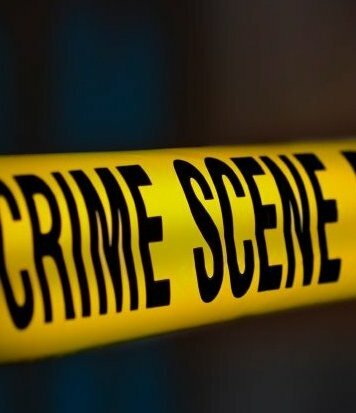 (CNS): Detectives from George Town police station have opened two investigations following an attempted robbery and a robbery which occurred within less than an hour of each other on Sunday night. In the first instance the would-be robber escaped empty handed but in the second the two suspects got away with cash. In both cases police say that the perpetrators were armed with hand guns. The attempted robbery occurred at about 9.20pm last night when a female taxi driver arrived in Breezy Way, George Town, to pick up a fare. As she arrived at the location, a man appeared from the bushes and pointed a handgun at the window of the taxi. The woman drove off and the man did not obtain any cash. Police said this first suspect is described as having a brown complexion and about 5’7” in height. He was of small build with a broad upper body and was wearing blue denim cut-off pants, a dark long sleeve shirt and a navy blue and white bandana. He also had a dark tam covering his head and face. Around 50 minutes later, at about 10.00pm, two masked men entered the office of Cayman Karting in Sparky Drive, George Town, where staff were closing up for the night. One of the suspects was in possession of a handgun. The suspects demanded money before running off from the scene with a sum of cash. The first of these two suspects is described as having a skinny build, about 5’9” wearing a yellow and black hoody, long dark baggy jeans and a bandana covering the face. He spoke with a Caymanian accent. His accomplice was around 5’11” in height, wearing all black clothing and a bandana covering his face. No shots were discharged and no-one was injured in either of these incidents. Anyone who has information about either of these crimes should contact George Town CID on 949-4222, the RCIPS tip-line on 949-7777 or Crime Stoppers 800-8477 (TIPS). 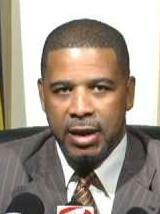 (CNS): As the war of words heated up this weekend between the former premier of the Turks and Caicos Islands and the current governor, officials from the Caribbean British Territory said that both an arrest warrant and a ‘Red Notice‘ has now been issued for Michael Eugene Misick. A red notice is essentially an international arrest warrant, which means that the TCI will be seeking Misick’s extradition if he is arrested in a member state. Last week the governor had called in Misick to return voluntarily and face the questions of the special investigation team that is investigating allegations of corruption surrounding his term in office. This weekend Misick issued a statement accusing the UK interim government in TCI of corruption and said the report by sir Robin Auld on which the current investigation is based was “fabrication and lies” and part of a political witch-hunt that was “designed to destroy the reputation" of the former premier and his administration. Although Misick has been issuing statements to the press, his current whereabouts are not certain though he is believed to be living in the Dominican Republic. In June 2011 his assets were frozen by a court order after the commission of inquiry led by Auld recommended the criminal investigation of Misick for possible corruption and abuse of his former position. (CRFU): There are many great rugby tours that have gone down in folklore for the exploits of those brave souls that represent their homeland against the marauding hordes in their own backyard. Thoughts spring immediately to the British and Irish Lions tours of New Zealand in 1971 and South Africa in 1997. On both occasions they were given little hope against the best teams in the world, and yet managed to defy the odds and return victorious. It’s funny how some things stick in the memory. 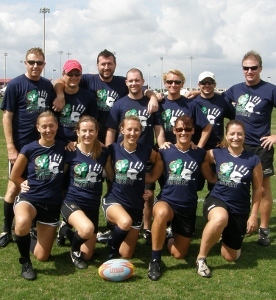 It is with these thoughts in mind that I turn to the sterling efforts of the Cayman Pirates at the 4th annual International Touch Rugby Tournament 2012 in Fort Lauderdale, Florida. There is an old adage in rugby that says, “What goes on tour, stays on tour”. This, by definition, is problematic for a journalist so I will have to break just a little with tradition and give you the edited highlights. Thirteen wide-eyed and finely-honed athletes made up the squad to represent the Cayman Islands. Inspirationally captained by Sharlee Henshaw, the Cayman Pirates took to the field for their first game of the day against Fort Lauderdale B. Playing against the odds and with half the team getting lost on the way to the ground (insert suitable conspiracy theory here) the Pirates’ played well and recorded an honourable 3-3 tie. Riley Mullen was pivotal, running in three tries and laying down a marker for the rest of the tournament. With a full squad available for the second game, the Cayman Pirates led D.C. by 1-0 at the break. Neil “Monty” Montgomery was starting to pull the strings for Cayman. He scored the first and was instrumental in setting up tries for Sharlee Henshaw and Richard Gordon in the second half. However, D.C. demonstrated that they had plenty of mettle and increasingly built the pressure on the Pirates’ throughout the second half. After scoring to make it 3-2, D.C. added a third in the dying seconds to hold the Pirates’ to their second 3-3 draw. The Pirates’ third game was against pre-tournament favourites Fort Lauderdale A. They showed the Pirates’ a clean pair of heels and ran out 0-3 winners. Only some desperate defending by Joan Murphy and Marc Randall kept the score down and it showed that the Pirates would have to rack it up a gear or two if they were going to progress in the tournament. And they did. After a break in proceedings to take advantage of some of the isotonic drinks on offer, the Pirates’ stepped up for their final group game against Palm Beach. Determined ball-carrying by Joanne Ziegler, Chandra Friesen and Michelle Bailey put Palm Beach on the back foot as Cayman controlled the game for large parts. Neil Montgomery was growing into his role as playmaker and pulled the Palm Beach defence in all directions. Sharlee Henshaw scored both of the Pirates’ tries, one in each half, with assists from Montgomery and Gordon. Although there was no bonus point gained it was a thoroughly satisfying performance, and the result put the Pirates’ into the Third Place Play-off. The best performance of the day was saved for their final game. By a quirk of fate, they were pitched against Palm Beach once more and it was clear that Palm Beach, wounded by their defeat in the final group game, was out to reverse that result. In order to offset this threat, the Pirates’ went through some pre-game visualization techniques and then went out and performed like they know they can. Richard Gordon, who had previously been frustrated by his inability to burst through a gap all day, threw the most outrageous of dummies and ran clear leaving the Palm Beach defence standing. Dave Bailey, immense in defense, positively reveled in throwing himself around for last-ditch touches that both frustrated his opponents and inspired his teammates. Imbued with new confidence, the Pirates’ threw the ball around and Montgomery set up Mark Robson for the easiest of touchdowns to make it 2-0. Gordon scored the third, when Montgomery threw a delightful back-of-the-hand pass – a try truly made on the Highveld of South Africa. Mullen added the fourth before Steve Henshaw scored the Try of the Day. Marauding like the great pirate Captain Blackbeard himself, he ran half the length of the pitch to score by the corner flag, chased all the way by the speedy female winger from Palm Beach. The final score was 5-1. Fort Lauderdale A went to beat D.C. in the final by 5-3. The Cayman Pirates had won a worthy 3rd place in the tournament, a great result for a fine team. The tournament was a rousing success and all the teams are looking forward to next year when they can challenge each other once again. 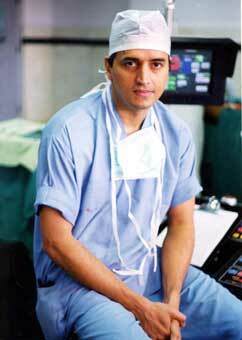 (CNS): Dr Devi Shetty’s local team has revealed that Clan Construction Ltd, a Cayman-based company, has been selected as the general contractor to supervise and build phase one of the Narayana Cayman University Medical Centre, as Shetty’s hospital is formally known. According to the firm’s boss, Neil Armstrong, there will be opportunities for around 300 tradesmen on the project and Clan will be employing as many Caymanians as possible. He said preference would also be given to local sub-contractors and to local suppliers of equipment and materials. Armstrong said providing employment and benefits to Caymanians was a “requirement” that was stressed to Clan Construction during the contract negotiations. Project Director Gene Thompson said a design/build agreement had been signed by the parties and that Clan Construction, headed up by owner Neil Armstrong, will be assisted by DeAngelis Diamond Health Care Group of Naples, Florida, which has experience in providing specialty services for construction of state-of-the-art hospitals and healthcare facilities. Phase one is being designed to be efficient both from an operational standpoint and from a clinical standpoint, a spokesperson from the Shetty group said. The intention is to build using Insulating Concrete Forms (ICF), and the building will be constructed to withstand hurricanes and will have full standby power and water. Consideration will be given to the area, and the first building will be a two-story, low-density structure that will be oriented to take advantage of the trade winds and the sun. Phase one of the facility will include at 140-bed tertiary care hospital and groundbreaking is expected in August of this year. The hospital is expected to open to its first patients in September or October 2013. The initial phase will be built on 50 acres in East End known as “High Rock". Future phases will include an expansion of the hospital facility, an assisted-care community, a medical university and a biotech park. (Hurley’s Group): Rooster Radio has announced plans for the Ninth Annual Rooster Shootout fishing tournament to be held March 23-25, on Grand Cayman. 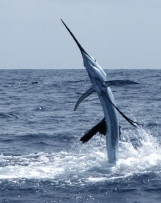 The Shootout features more than $20,000 in cash and prizes awarded to anglers in numerous categories including wahoo, dolphin, tuna, and marlin. The tournament has a new location, a new prize category, and a host of other improvements that will make this year the most exciting to date. Last year’s Shootout hosted 43 boats and 144 anglers. With the improvements to the Shootout for 2012, organizers expect an even larger turnout this year. “The big news is that the Weigh Station location has been changed to Harbour House Marina, this year’s presenting sponsor,” stated Rooster General Sales Manager Cheryl Birch. Another innovation for 2012 includes a new category, “Rookie Boat” for watercraft that have never before entered the Shootout. A popular element introduced at the 2011 Shootout will return in 2012, the District Cup. This category rewards the Cayman district that earns the most points from their top three scoring boats in the Shootout. The inaugural District Cup was awarded to the District of Georgetown with their top three boats scoring a combined 58 points in the tournament. Award categories for the 2012 Rooster Shootout include: Individual prizes for top weight Wahoo, Dolphin and Yellow Fin Tuna; heaviest combined weight per angler; Kirk Freeport will again sponsor the Captain Prize for the heaviest combined weight per boat. The Lady Angler, District Cup; and Rookie Boat of the year and the elusive Grand Whopper sponsored by Burger King are a few of the trophies up for grab for the participants this year. Registration for the Rooster Shootout is Wednesday, March 21 starting at 6pm. “Guy Harvey’s Grill will once again host the Shootout registration – providing an ideal backdrop for reminiscing about past tournaments and preparing for this years event,” stated Ms. Birch. (CNS): The parents of the 31-year-old teachers’ aide who went missing on 26 February from the beach near Calico Jack’s Bar along Seven Mile Beach left the island Saturday not knowing what has become of their son. 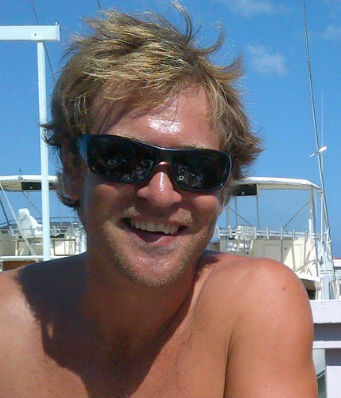 Although there was a massive search for the British resident of West Bay involving hundreds of people and thousands of man hours, the only trace of Nathan Clarke since he was last seen that evening is his cell phone, which was found on the ocean bed by a visiting snorkeler. Although the case remains open, the police called off the physical search last week on the basis that Nathan,despite being a water-sports expert, may have very likely drowned. Nathan’s parents said that new posters detailing Nathan's missing personal items are now being circulated so even those on holiday, diving, snorkelling or simply taking a stroll along the beach will know to report anything unusual or hand in any items which may be one of the missing belongings. (CNS): Comments made by government’s backbench MLA Ellio Solomon about a recent protest during a UDP meeting in Bodden Town will not silence the objections, local activists have said. Vincent Frederick, one of the local residents spearheading the Coalition to Keep BT Dump Free, said it was the second attempt by government to silence those who oppose the plan to open a waste-management facility in the district. “First there was the systematic theft of our yard signs by an unidentified individual in a pickup truck, and now this attack on our right to demonstrate,” he said, regarding comments made by Solomon last Tuesday in Finance Committee, as reported on CNS. “But they won’t shut us up,” promised Frederick. Alain Beiner, another member of the coalition, described Solomon as a spokesman for government and pointed to the concerns everyone should have regarding his position on the rights of the people to protest. The coalition said it has repeatedly asked which government entity decided that the George Town dump had to be moved and who selected Bodden Town as the best relocation site. It has also demanded to see the documents on which these decisions were made, but has yet to receive any reply. “By reprimanding the police for not stopping our protest, they admit that they’re unable to answer coalition objections,” Beiner added. The coalition members said that while government appeared to be looking after Dart’s interests, it was trying to defend the interests of the Bodden Town populationbecause government had left the activists with little choice. He added that government was showing no concern for the health and welfare of the district's residents as he again emphasized the position of the activists that the problem of the George Town landfill could be deal with where it is, as was government’s original plan. “Instead of encouraging economic growth in our district, the dump will be an obstacle to any new developments, whether a business, a tourism facility or a residential project. They’re intent on converting a pristine residential/agricultural area into heavy industrial use, and rezoning Midland Acres behind our backs,” he added. The coalition has estimated that of Grand Cayman’s population of 52,601 in 2010, no less than 46,869 people resided in West Bay and George town. This puts 89% of the population — and its waste — far from the proposed new site. I found the March 16th viewpoint of Mr Frank McField (in the Caymanian Compass) as insulting as it was misinformed and naive. “Bodden Town voters” did not need Mr Alden McLaughlin to be “inflamed” by government’s proposed relocation of Grand Cayman’s dump to our district. We were in fact inflamed following a meeting with Dart representatives whom we invited to speak to us, well before Mr McLaughlin expressed any opinion. About two dozen ordinary Bodden Town residents, with no political affiliation, assembled on October 24th to listen to Mr Ken Hydes, Mr Martin Edelenbos and Ms Joanne Gammage. Our initial concern was the acute problem of heavy truck traffic through our town and the certain aggravation of that problem by putting the island’s dump in Midland Acres. After listening to the Dart presentation and their answers to our queries, we decided to vigourously oppose the project and to form the Coalition to Keep BT Dump Free. We established the Coalition last October as “a non-profit, non-political, single-issue organization open to anyone opposed to moving the dump to Bodden Town, regardless of their view on other issues, and regardless of political affiliation”. The Coalition supports no political party, and has equally condemned past and present governments for neglecting their responsibility in regards to proper management of the George Town landfill and the elimination of Mount Trashmore. As to Mr McField’s praise for Dart, we are not taking away any credit which Dart may deserve. But, let’s not be naïve. Many of our supporters did until recently admire the island’s biggest real estate developer. They knew, of course, that Dart is a private company, driven by profit, and that anything they did was in their interest, whether immediately or ultimately, directly or indirectly. Yes, what they did was not from “the goodness of their hearts”, but it was felt that they respected our country and its heritage and environment. They were not considered ruthless and rapacious profiteers who would run roughshod over due process and transparency and grab anything they could get away with. In fact, Dart had built up considerable goodwill. But the acquisition of a substantial length of West Bay Road, part of Cayman’s birthright and heritage, and a public asset of all Caymanians, and the proposed relocation of the George Town dump have changed how many perceive Dart. Many now wonder if Dart’s “generosity” was not in fact a “run-up scenario” designed to “soften us up”. Many did not expect Dart to take whatever government would give away in exchange for a promise of “thirty pieces of gold” – especially inasmuch as government was never mandated by the people to do so. 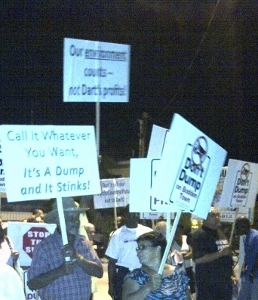 But back to the issue of the George Town landfill and its relocation. After all, we can’t fault Dart if government inexplicably reneged on its deal with Wheelabrator to build a waste-to-energy facility on the present site, the proposal recommended by the Central Tenders Committee (CTC), and the solution supported by virtually all experts. We can however reasonably question the proposal submitted by Dart’s construction company Decco and its concern for our environment. Relocating the dump to Midland Acres would involve rezoning the area. We can fault Dart and question their priorities for proposing to transform a pristine residential/agricultural area to heavy industrial use. In any case, the CTC rejected it, rating it worst of all proposals considered for solving the GT dump problem after its technical team expressed “great concern” about the impact of a dump in an “environmentally sensitive” area. And, we can’t fault a “good corporate citizen” like Dart if government then ignored the CTC and due process and ran with the Dart proposal of putting the dump in Bodden Town. We can question how Dart intends to approach the rezoning of the proposed dump site. In response to an FOI request, the Central Planning Authority claims that the only record it has of anything related to the relocation of the dump to Bodden Town is a March 2011 Planning Department meeting which discussed and approved the subdivision of Dart’s Midland acres property. Is this in fact a tactic to rezone behind our backs, to bypass due process and any consultation with the surrounding population? Other experts dismiss the significance of even the liner, suggesting that the acid from a single miss-sorted and overturned car battery is all it takes to pierce the liner, and begin the process of contaminating the central wetlands. At a September 21st 2011 meeting between Water Authority (WA) experts and Dart representatives, according to documents remitted by WA in response to an FOI request, the Dart people stated: “The new waste management facility will provide for the same processes carried out at the current GT dump …” How in the world can Mr McField honestly declare that “…the quality of our waste management system could be greatly enhanced by closing the George Town dump and opening another in Midland Acres”? In Mr Small’s opinion, building another landfill site in Cayman “…is a crazy idea, especially as it is miles from the source of the waste. Dart has openly stated that they are not going to operate the site and so the same operators who currently run the GT landfill will operate the BT landfill with the same guidelines of covering the fill on a daily basis as they are meant to do today. If you look at the website for the new landfill you see different buildings shown, and now go and visit the GT landfill and you see exactly the same buildings including the recycling centre. Why are we expected to believe that the same operators are going to suddenly do things differently from what they currently do. Why there are no formal mass recycling programs today is because DEH is underfunded. And how much extra funding will the new facility get from Government to guarantee it will not turn into another GT landfill within the next decade." Numerous requests from the Coalition to see the projected operating budget of the proposed facility, and the source of funding, remain unanswered. Is Mr McField perhaps privy to such information, or does he simply have blind faith in the same people who have mismanaged the GT landfill since 1983? Has Mr McField seen anything more than the meaningless artist’s conceptual drawing of the proposed site that the FCA has been peddling? Our numerous requests for technical drawings and specifications have also gone unanswered. Mr McField doesn’t feel that Bodden Town residents ”…should be able to say ‘not in my backyard’…”, but we imagine that Dart does have this right. After all, the facts clearly show that Dart’s desire to get the GT dump out of its sight is the only reason for relocating it and contaminating a second site. The current Street Atlas of the Cayman Islands (Page 24) pinpoints the “Camana Bay Future Residential Area” adjacent to the “Waste Management Facility” (sic). And, Dart CEO Mr. Jim Lammers could not have been more clear: the GT dump is the “single most commonly stated hurdle for potential purchasers of various residential units at Camana Bay”. Honestly, Mr McField, is it not normal that the economic centre of this island and the source of most of its waste also be the site of its waste facility? Are you suggesting that the Bodden Town district will receive the benefits of George Town – its jobs and economic activity — along with its dump? Quite the contrary! As the Coalition has repeatedly pointed out, a dump in our district will be the prime obstacle to new jobs and economic growth. No one will consider establishing a new business or tourism facility or residential project around a dump. Several tenants in the area have already indicated that they won’t be renewing their leases. The overwhelming bulk of the island’s waste is generated in George Town, West Bay, and along Seven Mile Beach. Of the estimated 2010 Grand Cayman population of 52,601, no less than 46,869 people resided in West Bay and George Town. This puts 89% of the population — and we can assume of its waste — far from the proposed dump site. Department of Tourism figures for 2011 show a total of 309,091 stay-over tourists, overwhelmingly along the Seven Mile Beach corridor. This adds, on average, another 5,944 every week to the GT-WB area, not to mention that most people living in the Eastern Districts work in the GT “economic lifeline”, producing more waste in the area. We can safely assume that government intends to truck at least 92% of the island’s waste all the way to Bodden Town, and on to the proposed dump, wasting fuel, increasing noise, pollution, risk of accidents and wear-and-tear of our roads all along the route. Surely this can only make sense for Dart. At that same Water Authority meeting of September 21st last, WA experts stressed the need for “a systematic and complete review” of the project, and for “an Environmental Impact Assessment”. Such an assessment, anywhere in the world, would be the very first step in the process of selecting an alternate dump site, in advance of a site being selected. Such a study has still not been done. We still don’t even know which government entity decided that the GT dump had to moved, and that the Bodden Town site was the best. The only response we’ve received so far is a vague December 20th reference by Minister Scotland to “a private 1990s study”, in which, he admitted, Bodden Town was not the first choice, but demands that he disclose the document remain unanswered. This disregard for due process, transparency, and for our environment is only part of what has inflamed, not only Bodden Towners, but many others around the island. Bodden Town’s already acute traffic problem will be aggravated rather than solved. Economic growth in our district will be stymied instead of stimulated. The common-sense rule of keeping a landfill close to the source of the waste is completely ignored. A dump should be located where residents and property owners have prior knowledge of the proximity of a waste disposal facility. A dump should be located in an industrial area, close to a major roadway, close to the public sewage system and to the source of energy, both for supply and possible resale. It should never be located in a wide open area vulnerable to natural disasters (like hurricanes). It should never be near animal or nature preserves, like Meagre Bay Pond, one of the island’s key bird sanctuaries. Areas of historic value should be avoided, and Bodden Town is the original capital, with several historic attractions and homes. But, above all, the cardinal rule is to never relocate a dump unless absolutely essential: Never contaminate a second site. Any new and improved waste managementtechnology touted for a new site should be implemented (and tested, risk-free) at the existing site. That successive governments since 1983 have shirked their responsibility of properly managing the George Town landfill, and eliminating Mount Trashmore, is a national disgrace. This responsibility has been an integral part of the mandate of the well-paid politicians who voluntarily opted for public life as representatives of the people, and who have governed our country. Fixing the problem of the existing landfill – where it is — continues to be government’s responsibility. To allow them to make a deal with Dart to run from the problem by simply “exporting” it elsewhere as a “quick and cheap fix”, and “sweeping it under the carpet”, would compound this national disgrace, and be a poor lesson indeed to our children, to future generations…and to future governments. Establishing a new landfill in Bodden Town, to be managed by these same governments which have shirked their responsibility up until now has the potential of becoming the worst ecological disaster in Cayman’s history. (CNS): Designers who will be showcasing their work at the FRESH 2012 next month have now met with and fitted the models who will be wearing their collections at the much anticipated fashion event. Although designers Jacqueline Bleicher, Shirley DaCosta, Melissa Dilbert, Virginia Foster, Mara McBean and Sandra Lichtenstein are no strangers to the business Melissa, Shirley, Jacqueline and Mara will be presenting their collections to the public for the first time. Production Manager Kareem-Nelson Hull who oversaw the final decision-making details of the designs said things are progressing well eight weeks ahead of the show. “This meeting was a major event for the designers as they can move from a conceptual mindset to realising their concepts will be brought to life in only a few weeks,” he said in relation to the models and designers first meeting. Design Manager Kidan Brooks who has been working with the designers who will take part in the event said she had witnessed first-hand how their approach to fashion design has grown and developed in preparation for the event. “Now that the designs have been finalised we can move forward with the making of the runway pieces,” she added. Kidan is a designer, focusing primarily on bridal gowns and bridal party dresses, and is an active member of the fashion industry. She was the recipient of the Best Use of Cotton Award by Cotton Inc. during the 2010 Bachelor of Fine Arts (BFA) Senior Fashion Show at the Fashion Institute of New York, where Kidan studied. As a guest designer of FRESH 2012, Kidan will be presenting her latest bridal collection. Jacqueline is an urban wear designer. She is well travelled and has lived in a number of Caribbean countries and the UK. This exposure has influenced her world perspective and ultimately, her awareness and innovation as they relate to fashion. As a designer, she recognises that clothing has the power to transform an individual and hopes to be able to fill this niche in the fashion industry. Mara has been designing clothing from the age of 13. FRESH 2012 will be her first public appearance as a designer. She is primarily a self-taught designer whose concepts are predominantly tailored for women's fashion. Mara's creative ability lends itself to diversity and men's wear may become a part of her unique collection in the future. She is inspired by her own vision and imagination. Melissa has been interested in fashion design since she was a little girl. She became very excited when she learned about the CNCF Fashion Designer Workshop and registered as quickly as she could. She has enjoyed developing her professional portfolio and feels she has taken the first step to realising her dream. FRESH 2012 will be the first time Melissa presents her designs publically and her collection is based on classic elegance shown in bright rainbows of colour. Sandra has had a passion for sewing for over 25 years. This passion has more recently extended into fashion designing, for her own personal collection and brides. Over the years she has developed her fashion sense by attending several sewing workshops and she has been greatly inspired by designers like Coco Chanel and Ralph Lauren. Her collection for FRESH 2012 will showcase her creative passion and confident sense of style. Shirley has wanted to be a fashion designer for as long as she can remember. Over the past 25 years Shirley has been dabbling in design and making clothes for friends, family and the occasional paying customer with the largest ensemble being for her own wedding. She hopes her FRESH 2012 collection will evoke feelings of cool, calm and relaxing sophistication peppered with a little Caribbean spice and flair. Through her role as an educator, Virginia has become very interested in the preservation of Caymanian heritage and recently received the CNCF Gold Award for Creativity in the Arts. Virginia is best known for incorporating silver thatch stitching in her collections. She believes fashion is an art form and endeavours to elevate national pride and support an eco-consciousness approach through her designs. As a child Kidan often passed the time sketching designs and sewing dresses for her dolls. She has recently received a BFA in Fashion Design from the Fashion Institute of Technology in New York and completed internships with renowned fashion houses such as Tuleh and Narciso Rodriguez. While in New York, she regularly roamed the tents of New York Fashion Week and participated in both US and Caribbean fashion shows. Bridal design is her avenue of choice and she is most inspired by the gratification of making her brides feel magnificent. Jawara is a self-taught fashion designer and artist. He has become a favourite designer of FRESH and is a two-time winner of the CNCF’s Designer of the Year Award. He has been featured in She Caribbean Magazine and featured in numerous editorial spreads. Jawara will present his farewell collection at FRESH 2012 before beginning his studies this fall.